St. Saviours GAA club is located on the Ballybeg housing estate on the outskirts of Waterford City, this housing estate has approximately nine hundred houses and the club is centrally located at its centre. With a National School located only five hundred yards from the field there is a natural gravitation from the School to the Club grounds. In 1980 a small group of hard working people within the parish realised a GAA club was required as a focal point for the area. It was clear the growing number of young people needed a local club they could identify with. 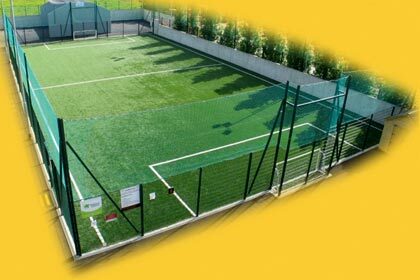 It wasn't long before Local street leagues were organised and a field was acquired from Waterford City council. St Saviours sport a Black and White kit; they took these colours from the Dominican Order, The Dominican's have been serving the community from their church St Saviours since the early seventies. 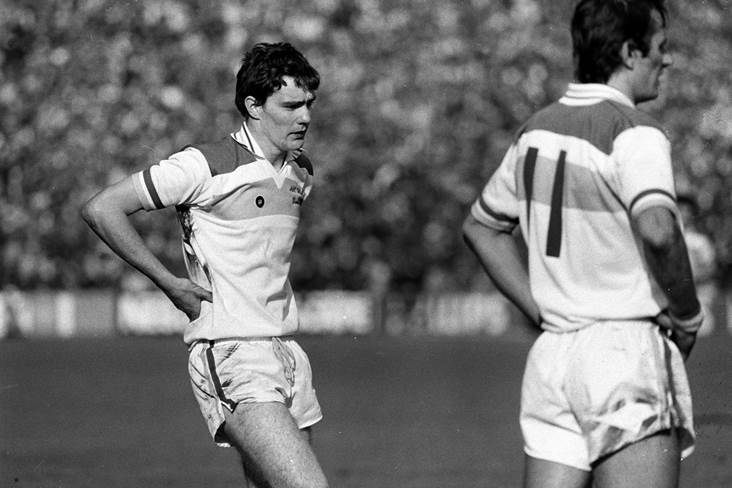 "Saviours" entered competition in 1981 and within twelve months gained their first taste of success in both football and hurling. Creating building blocks in 1882 the club made a big impression in 83' and 84' as the young charges grew stronger in each grade. Eyebrows were raised in GAA circles as it became clear that St Saviours had a young and very talented group of underage players who were starting to make a serious impact on the underage scene. 1986 a skilled and very stylish Minor team won the "A" football County title. This was a landmark occasion for the fledgling Club and the relatively new kids on the block. 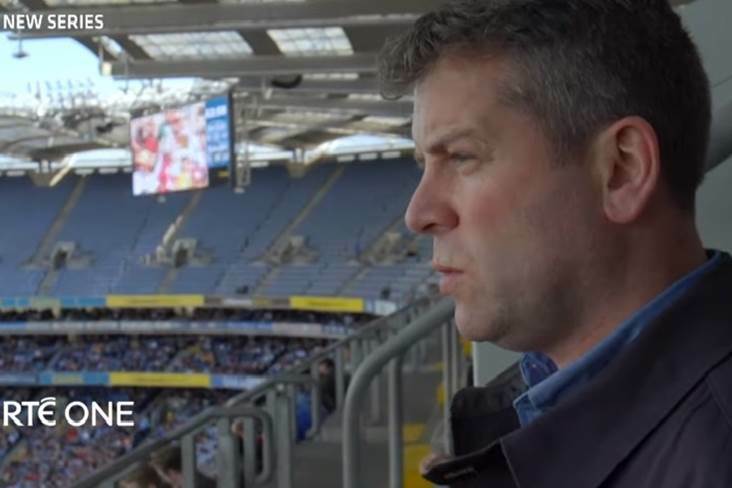 With exciting young talent emerging Club Chairman and Minor Football Manager Michael Brophy lead the charge into the 1987 County Intermediate Football Championship, a brave move considering they hadn't won a Junior Title. This bold move paid rich dividends as the Minor "A" football title was retained and St Saviours were crowned County intermediate football Champions. Saviours faced the experienced Shamrocks in the final; the day belonged to Saviours, Shamrocks surprisingly went home empty handed. This remarkable achievement was acknowledged by the Waterford County Board and St. Saviours were awarded "Waterford Club of the year" a great honour considering the club had only been in existence for seven years. It was however a fitting acknowledgment which recognised the work and commitment shown by the clubs members, players and officials. St Saviours run of success continued in 1988 as they won the County under 21 "A" football title. 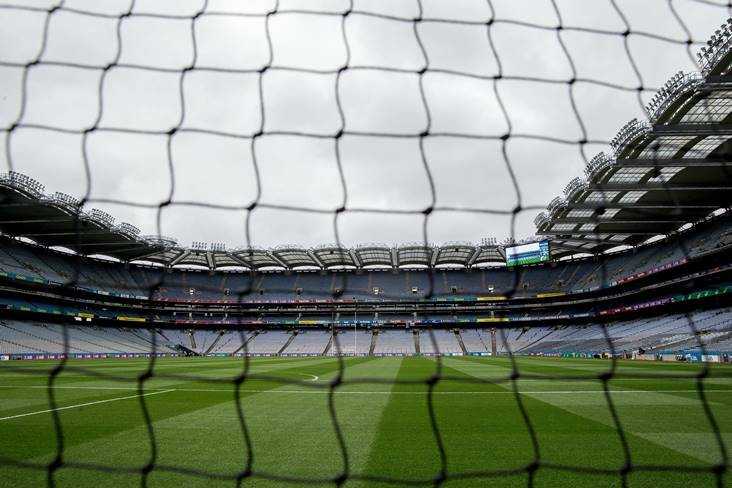 All eyes however were set on the "big one" the Senior Football Championship. Even though this was their first year to compete at this level, Saviours believed they could pull it off, having beaten the reigning County Champions Stradbally in the semi final; the dream looked to be coming true however Kilrossanty had other plans. "Saviours" long unbeaten record of being unbeaten in a county final came to an end as it was Kilrossanty who came out on top in the final. Like all good clubs, the taste of defeat makes the taste of success all the sweeter and the lads from St Saviours would taste success again in 89' winning the county under 21 final., Michael Brophy Manager of the Intermediate hurling team decided to bypass the junior championship and opt to play in the intermediate grade, history would repeat itself as they won the County Intermediate Hurling Championship title beating the famed Erin's Own in the final. Really quite remarkable to think "Saviours" after only twelve years since its foundation would hold senior status in both hurling and football in Waterford. In 1993 the same panel of players who had been together since playing under 11's reached the County Minor "A" Hurling Final disposing of divisional favourites Mount Sion in the final. Western kingpins Lismore would provide the competition in the County Final and after a closely fought game Saviours came out on top by a single point. This success should have paved the way for a serious challenge at a Senior Hurling title but in 1995 after a regrettable internal dispute, the Management and 95% of the Minor team left St Saviours, they would find new homes in two rival city Clubs. This dispute rocked the club to its very core. 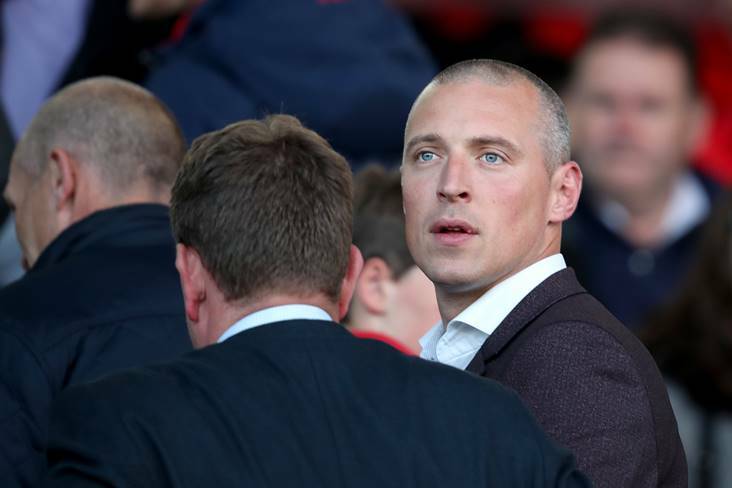 The team who had seen such wonderful success was now gone, and left the Club with a massive challenge, they now had to find new focus and rebuild, with much of its talented young players gone it would be a huge task. The recovery from this devastating blow has not quick or easy but the spirit of St Saviours was still strong and determined, failure was never an option. St Saviours Club men Michael Brophy, Derek O Neill, Nicky Jacob Snr, Paul Jacob, Tony Corcoran, Alan Power, and Mark Corcoran would take on the mantle and bring back County honours. This would prove as difficult as it was courageous with a shortage in Mentors and Trainers, in 1998 Saviours could not field from the Under 11 to Under 13 age groups a serious blow considering the wonderful success previously experienced. The Club would need an injection to revitalise its efforts, through local fundraising and support from the National lottery in 1996 a much needed Clubhouse and dressing rooms were opened, this was a great boost to the Club. Competing to recruit players, they could now offer first class facilities to their players. St Saviour's were relegated from Senior Hurling in 1997, under what some would consider controversial circumstances. In 1998 still reeling from the events of the previous few years, "Saviours" made it a year to remember by reaching the divisional Intermediate Hurling Final and although unsuccessful in their efforts, the Club took comfort and great satisfaction in winning the holy grail of Waterford football. 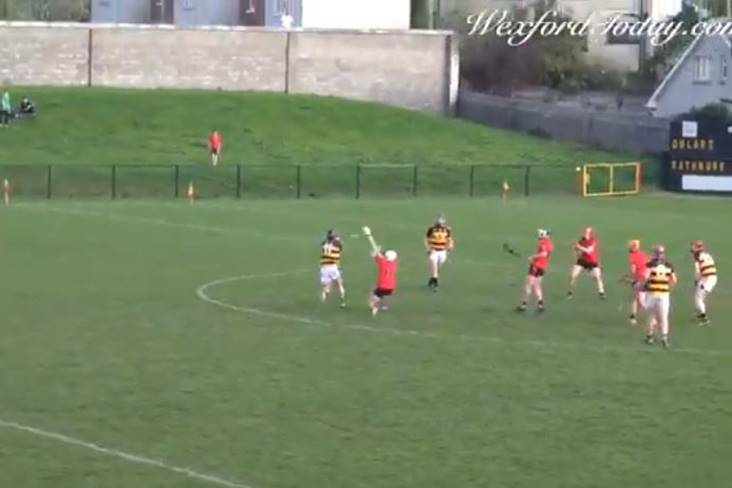 "Saviours" needed to dig deep to come from six points down, and in the closing ten minutes they did, winning the County Senior football title. The Conway cup was back in Waterford City for the first time in over 50 years. It is also worth mentioning that no fewer than nine club members hold All Ireland junior football medal won between 1999 and 2004 with Waterford. 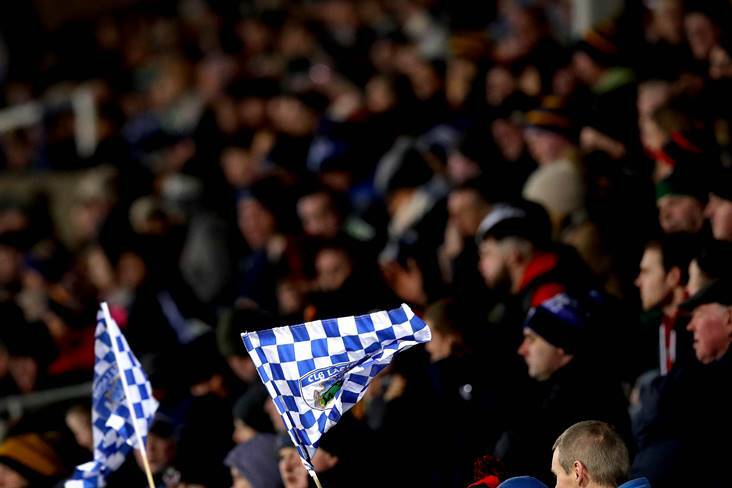 In the autumn of 1998 the club set to work on its juvenile elements this task fell to Derek O' Neill, Mark Corcoran plus a working juvenile committee with Noel Reidy at the helm, assisted by the Waterford County and Coaching Committee and the designated area scheme the future of St Saviours Football & Hurling club would be preserved. Over the course of the next decade a rebuilding process was undertaken, effectively starting again from scratch coaching youngsters from an early age every effort was made to build a strong relationship with the national school. St Saviours appointed Mark Corcoran as school liaison officer; Ollie Ryan would later succeed Mark in this very important role. The Senior and Intermediate teams held their own, competing in their respective championships, slowly, underage titles were coming back to the club. A new found confidence began to grow while the older Club faithful kept Saviours going during this difficult transitional period. 2001 would pose further challenges as difficult decisions once more would have to be made. Unable to field enough players at under 16 level, and with a constant threat of losing players the decision was made to combine forces with Sacred Heart, the juvenile wing of city club Erin's Own. This arrangement would continue for a further three years at minor and under 21 level. This amalgamation would reap small success in 2004 when Erin's Own/St Saviours won the County under 21 "B" hurling final. 2005 saw St Saviours compete at all levels from within its own ranks as sufficient players were once more available to compete in their own right. In March 2005 St Saviours celebrated their silver jubilee with a dinner dance in the Tower Hotel and over 300 people attended the assembled were drawn from past and present players and members. 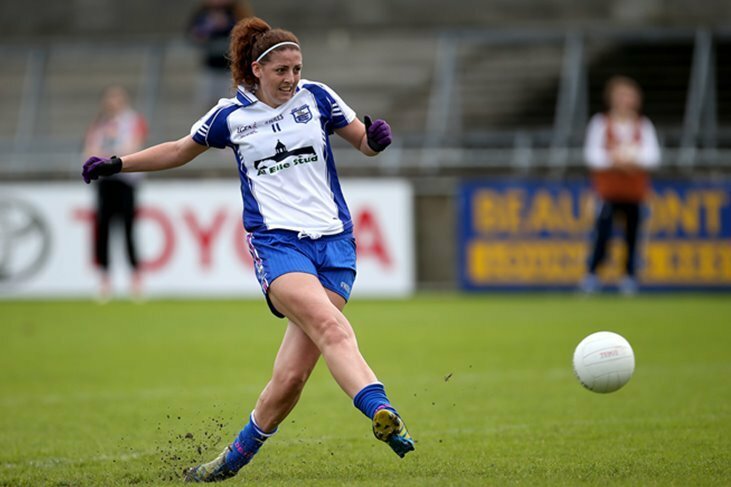 Not known for sitting on their laurels The Saviours were back looking to further enhance their facilities and through the Department of Arts, Sport and Tourism for sports capital funding and assistance the Waterford City Council. The application was well received and the club secured towards the clubs ambitious plans. Every man's home is his Castle and St Saviours were determined to protect theirs, they had for a long time had to sufferer from the intrusion and harassment of others. The Priority was to secure the Clubs grounds from unwelcome visitors and to make it a safe environment for all its members. They achieved this by erecting a wall at the western end of the grounds. Not content the club provided Ball stoppers on adult and juvenile pitches, Floodlight both the Juvenile pitch and Training area. The latest addition to their facilities is the construction of a purpose built artificial training pitch complete with fencing and floodlights. 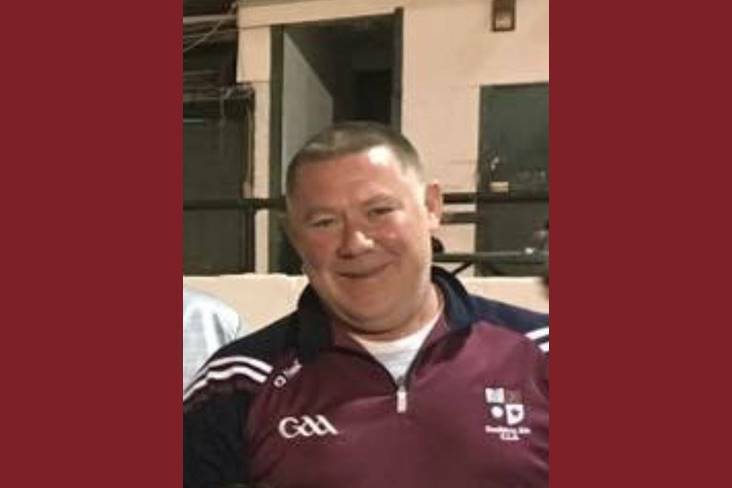 Juvenile Secretary Noel Reidy was appointed Field Development officer he had this to say "We have always strived to make sure that the best possible resources and facilities were available to our members, I believe we have raised the bar with the Synthetic Artificial pitch. 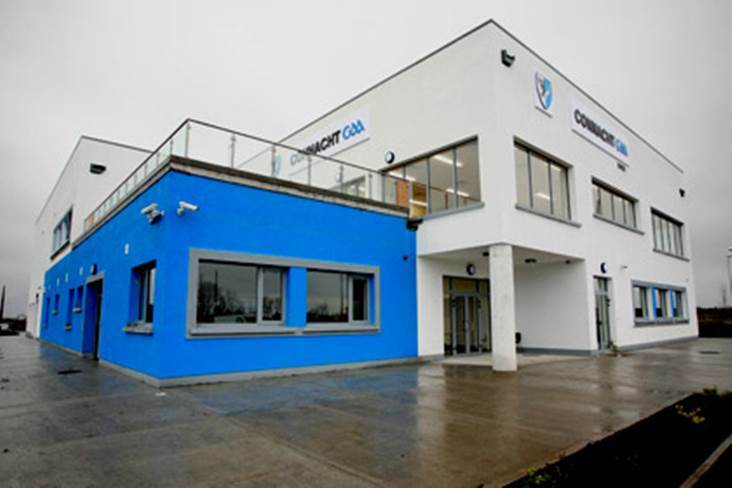 The club took on this project with the same focus and determination as we do all our business, possibly the best move we made was engaging Thornton Sports Ireland to build it for us, through planning and design to construction, their attention to detail was nothing short of military precision we continue to receive support and a first class service from them. The Synthetic Artificial pitch has opened up vast new opportunities for us. Our members are absolutely delighted with the pitch and it is in constant demand. In 2007 TEVA Pharmaceuticals Ireland recognised efforts St Saviour's efforts and agreed to be the clubs main sponsor until 2010, the company has strong links with the Club, located on the Waterford Industrial Estate, they employ several St Saviours Club members. St Saviours have been through some turbulent times; they have seen the good and the bad days and taken on the challenges that came with equal enthusiasm. St Saviour's spirit is very much the corner stone the Club, their history should serve as a valuable lesson to all clubs who must face internal and external challenges especially in these unpredictable times. It is clubs like St Saviours that will keep communities together and Gaelic games to the fore as a very positive alternative. 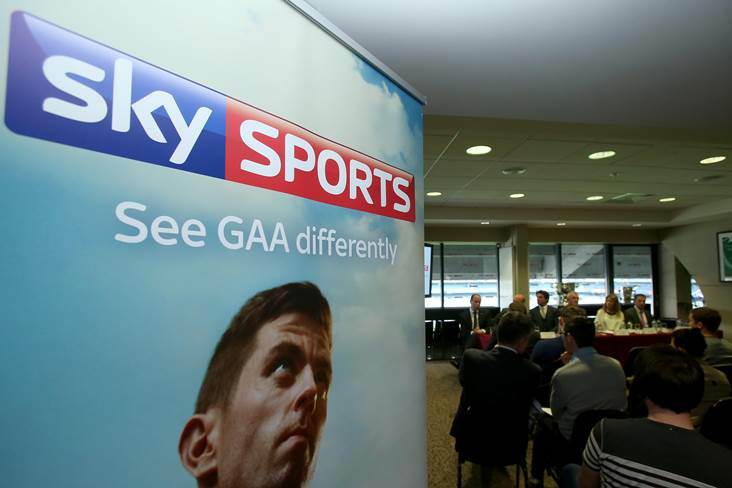 They are a model club whom encompass all that the GAA hold as true and honourable. Thornton Sports are delighted we were selected to build "Saviours" Synthetic training pitch. The committee are to be completed for their vision and the volume and quality of voluntary work they put into their club. We wish them every success with their future endeavours, safe in the knowledge they will adapt to meet future challenges they may encounter "Saviours" will as necessary adapt, improvise and overcome.